With more than 50 different pizzas on the menu, this pizzeria is all about variety. 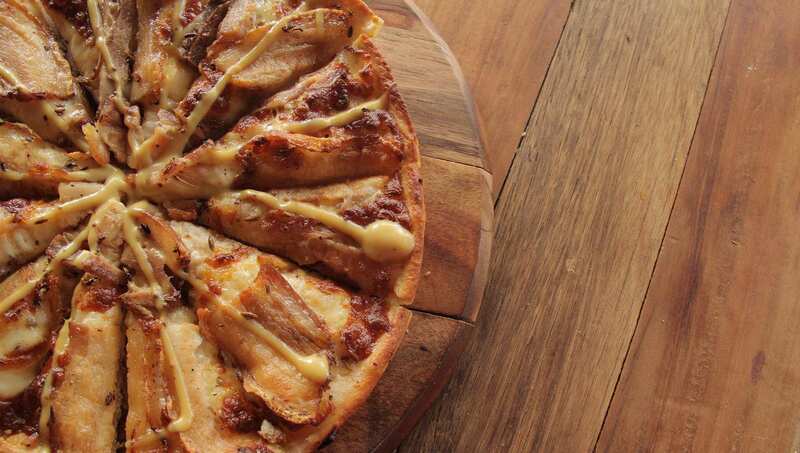 It claims international awards for its pizza, so you know Theo & Co is legit. Whether you're into vegan pies with chia seeds rolled into the dough, Texan-style toppings with smoked beef short ribs, Chicago-inspired deep-dish skillet pizzas or a classic margherita loaded with WA-made mozzarella, this is one of those menus that caters for every palate. So much so, it's almost overwhelming. But for $20-25, who cares? Try as much as you can. The venue is named after master pizza chef Theo Kalogeracos, who is responsible for the perfect pies. Influenced by his Greek heritage, Kalogeracos started out as a baker then moved on to be a pastry chef, before training under Italian mentor Caesar Saraceni and transitioning into a pizza chef. He is far from being a traditional pizza maker, though, he's known for thinking outside of the box and pushing pizza boundaries. The best part is, Theo & Co is BYO, so, you can pick the plonk which you have with your pie. Unfortunately, that means tables in this cheap and cheerful pizzeria are in hot demand and get snatched up quite quickly. To avoid disappointment, get there early.